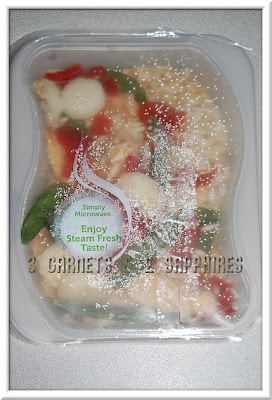 Since we have tried other frozen vegetables that are designed to be steamed right in the package in a microwave, my husband and I were very open to trying the new Healthy Choice Steaming Entrées. This was a huge step for my husband because I do not recall him ever eating anything that had the word "healthy" in the name. I do not think either of us could resists since the images on the packaging are so appetizing. 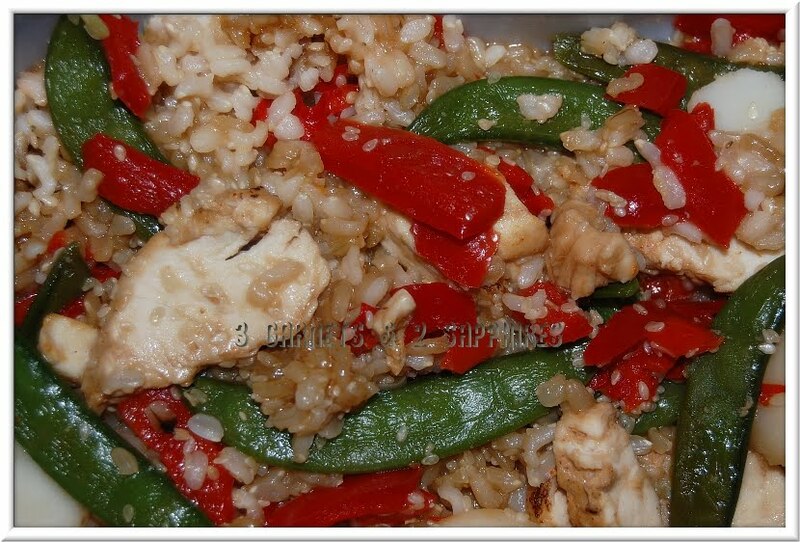 My husband tried the "Sesame Glazed Chicken" and I tried the "Chicken Romano Fresca". These frozen entrees could not be easier to prepare. You do not need to lift or puncture the film . . . only remove the cardboard sleeve and then pop the container into the microwave. I do want to point out that the cooking time varies between the different varieties. The end result was a fresh tasty meal. Although the portion was perfect for me for lunch, I think my husband could have eaten twice as much. 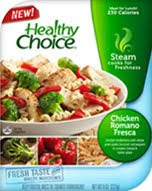 To learn more about the 8 varieties of Healthy Choice Steaming Entrées, visit Healthy Choice on Facebook. 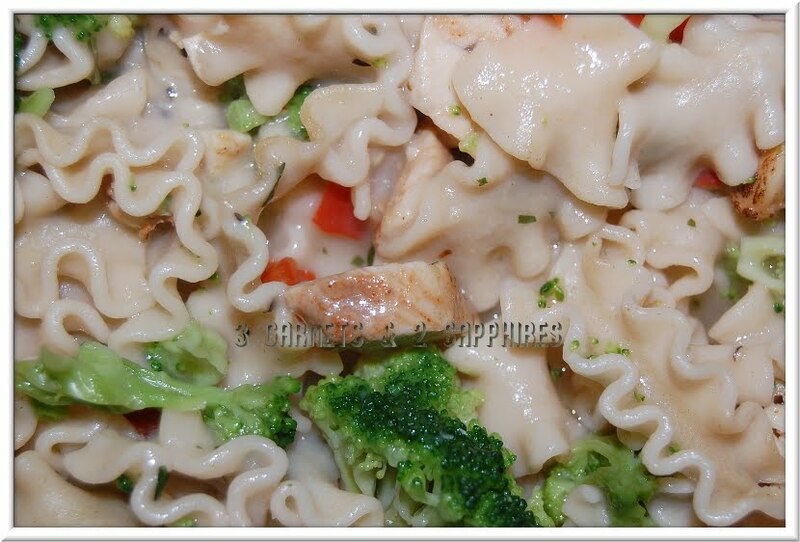 I wrote this review while participating in a blog campaign by Mom Central on behalf of Healthy Choice and received samples of their new steaming entrées to facilitate my candid review. Mom Central also sent me a gift card to thank me for taking the time to participate.